Note This is the first product from Spectravideo. It's a keyboard add-on for the Atari 2600. 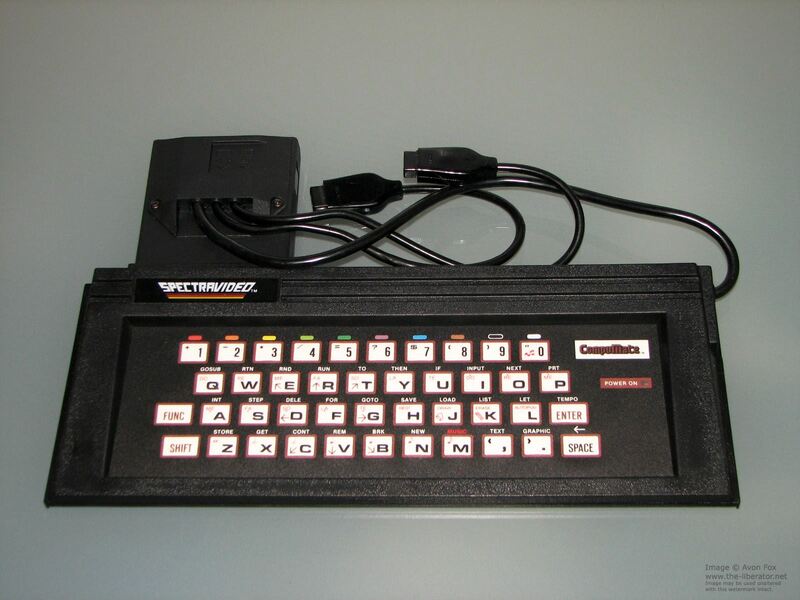 The CompuMate have 16Kb of ROM with built-in Microsoft BASIC, 2Kb of RAM, and a 42-key sensor touch keyboard. The programs typed can be stored to cassette recorder.